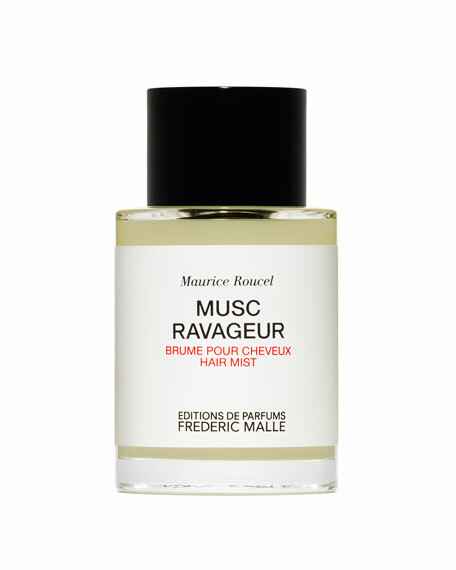 Enhancing the magnetic aspect of musk with amber, vanilla, patchouli and sandalwood, at the total exclusion of floral notes, caused a scandal when the perfume first appeared in 2000; but Musc Ravageur is now celebrated, in all its sensuousness, as the Sistine Chapel of Amber Orientals. Lightly shake the bottle, holding the bottle around 7 inches from the hair,spray 2-3 times through the hair, avoiding the roots. 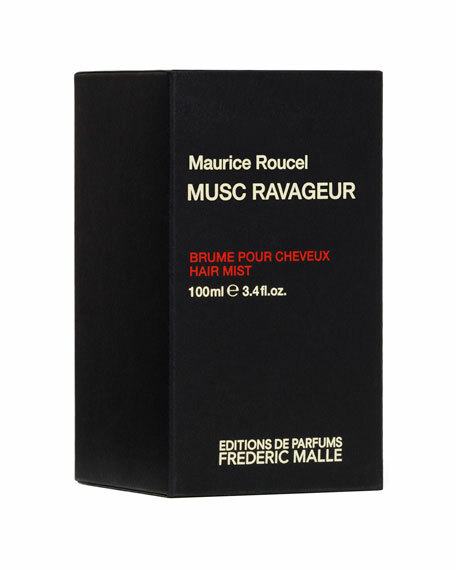 Enjoy as the fragrance diffuses throughout the day, boosted by the head's warmth and the movement of the hair.